On June 3rd , Saturday night, just two days ago I received some terrible news from Panama. Our family learned that our friend Mirko Delibasich, had a sudden heart attack and went home to be with the Lord unexpectedly. Only 54 years old, he left behind his amazing wife Traci and his three wonderful children Caleb, Rachel and Natasha and an incredible ministry that he founded that has literally impacted thousands of people with the Gospel of Jesus Christ. With that in mind, I feel the need to say some things about this man since I don’t know if I will ever be given the chance to share publicly what’s been on my heart these last few days. I have known Mirko for 13 years, which isn’t much time compared to many others that knew him much longer and more deeply than me though we first met in Pittsburgh in 2004. That day Mirko suggested a mission trip for the youth group that I was leading at the time. Two years later it happened. In 2006, I arrived in Panama for the first time in the company of 42 other people from our church. Our team of mostly teens, had hoped to provide some needed horse-power for his ministry which our church had already been supporting financially for many years. That was the beginning of a friendship that marked me and only deepened over the years. In 2011, Mirko invited me to be a featured speaker at Word of Life Camp as he had done on other occasions but that year he insisted that it was time for me to bring my wife and kids to Panama which he paid for personally. 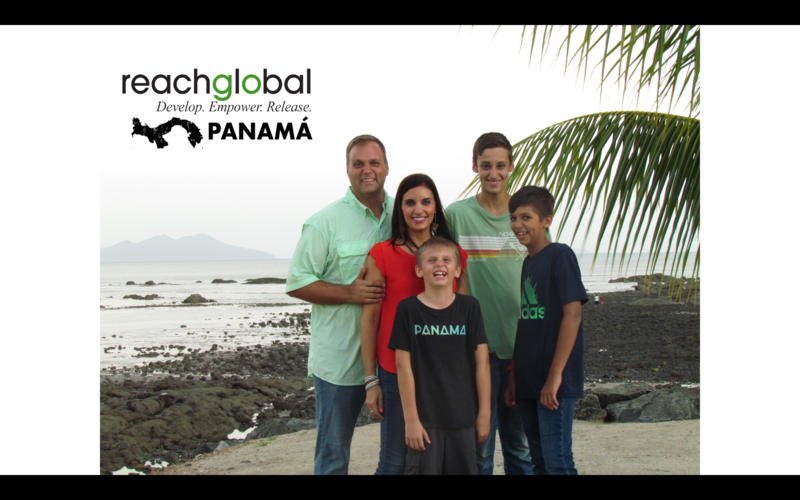 At the end of that trip, after all the preaching was over, he approached me and asked me to pray specifically about coming to Panama long-term to help start and build up churches. He was concerned about not having enough biblically grounded churches to disciple all the people coming to Christ through the ministry of Word of Life. To be honest, based on what I had seen, it was a legitimate concern considering the amount of people that had come to know the Lord just through their ministry alone over the years. I told him that I would pray and now, today, six years later, in 2017, I serve the Lord in Panama doing that very thing with my family and my team of missionaries. I share that because I need to explain the impact of the news I received on Saturday night. Mirko was not like most men to me. It is impossible to quantify his impact on my life. I am certain that he didn’t even know. Though I know I’m just one of many that he greatly influenced, I can honestly say that I can count on one hand all the men that I’ve ever even known of his caliber. I simply cannot say enough about this man who lived with such a constant ferocious love for God and people. The grief that I have felt in the news of his sudden loss is only surpassed by the honor I feel to have counted myself as one of his friends and the confidence that I have in knowing that he lived a life of radical devotion to Jesus Christ. I know that many people will be in heaven someday because of the faithful life of Mirko Delibasich. He was a man of God. He was a man of conviction. He had exemplary faith. He was my friend and I will miss him greatly. I had the privilege to hear Mirko preach many times. I heard him at churches, at camp and many, many campfires. Though for as many times as I heard him, I would still say that he was a man with just one real message. Every time he opened God’s Word, somehow, in some way you could count on him delivering the message of Jesus Christ. The greatest message of hope for mankind. The only message that matters if you have only one encounter with another human being. The only message that guarantees to make every human interaction truly count. The Good News – The Gospel of Jesus Christ. Countless times and to countless people over the years, Mirko proclaimed the truth that there is only one real way to prepare for life after death; and God already provided it through his Son Jesus who died on the cross for the sins of every person more than 2000 years ago. And all those that put their faith and trust in God’s Son Jesus for the forgiveness of their sins, surrendering their lives to him and inviting him to be their Savior, God promises will receive eternal life and become his children forever. I don’t know much but I do know that my eyes are tired of crying and my heart just aches inside when I think about journeying on without my friend. I also know that when your time on earth is done, Mirko would have wanted you and everyone else to be as prepared as he was to see God face to face. The Bible promises that if you choose to begin this relationship with Jesus, you too can look forward to a rich welcome in Heaven and eternity with God (ref: John 1:12-13/John 3:16). You will be prepared and will have the same welcome that has already begun for my dear friend; though he will be terribly missed for many years to come by many people on this side of eternity. It can be said beyond a shadow of a doubt that His was a life well-lived and I do thank God for the life of my friend Mirko Delibasich.